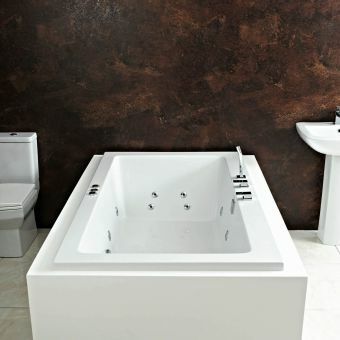 Offered with three choices of whirlpool and airpool options, the Phoenix Bari Luxury Double Ended Bath is a double ended bath designed to turn your bath into a spa. 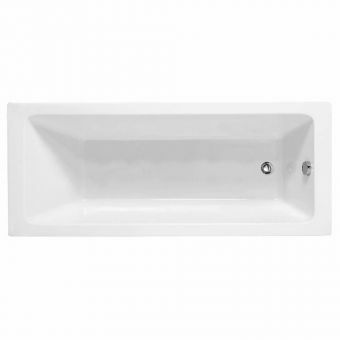 Measuring 1800mm (l) x 900mm (w) x 450mm (d), this bath holds a full 280 litres of bath water. 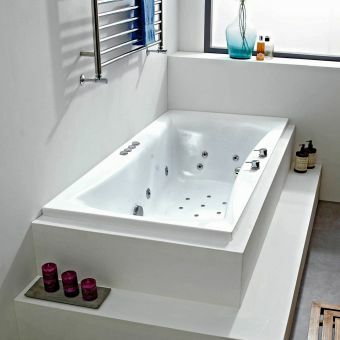 Constructed with 5mm acrylic, this bath offers excellent strength, chip resistance and heat retention. 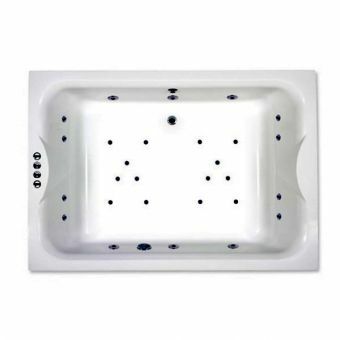 Each system is fitted with a pump for dry run protection. 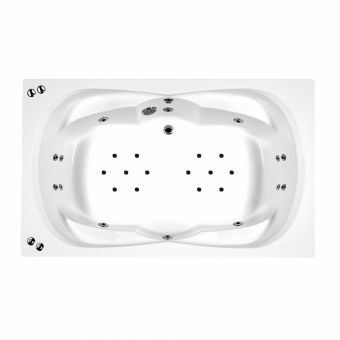 Optional features include an inline heater and coloured underwater lighting. 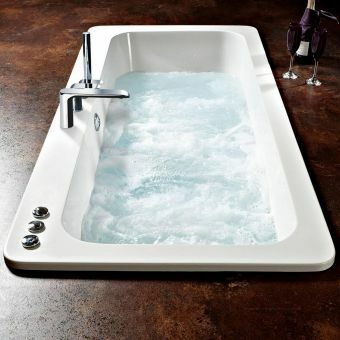 System 1 is a whirlpool featuring directional jets, foot and back jets and two air flow controls. 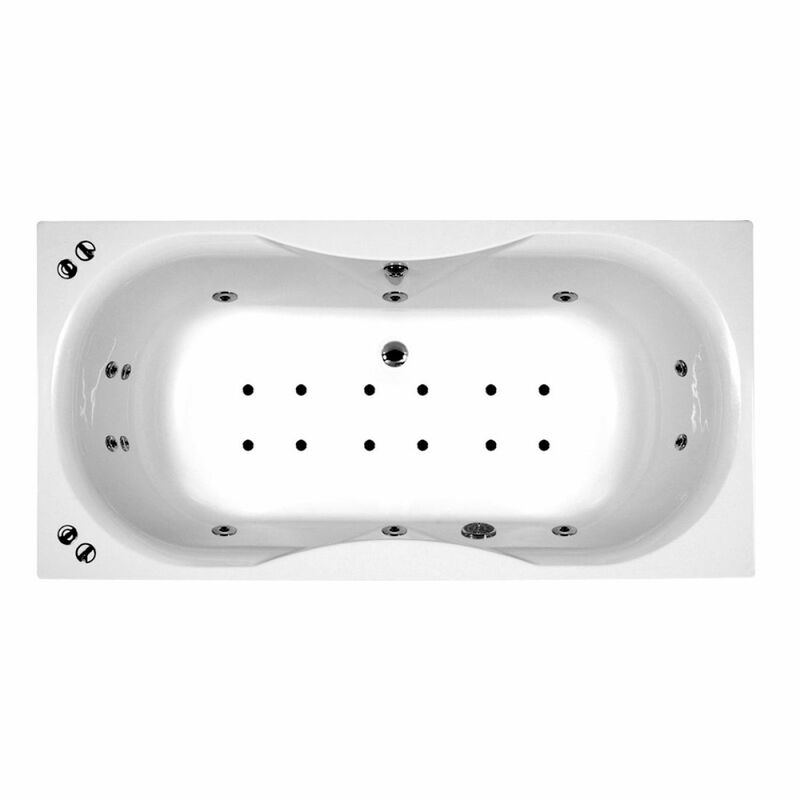 System 2 is an airpool featuring an on/off switch and Airspa jets. System 3 combines all features of systems one and two. 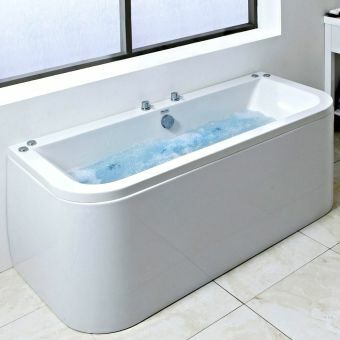 These baths are backed by a 25 year manufacturer's warranty.